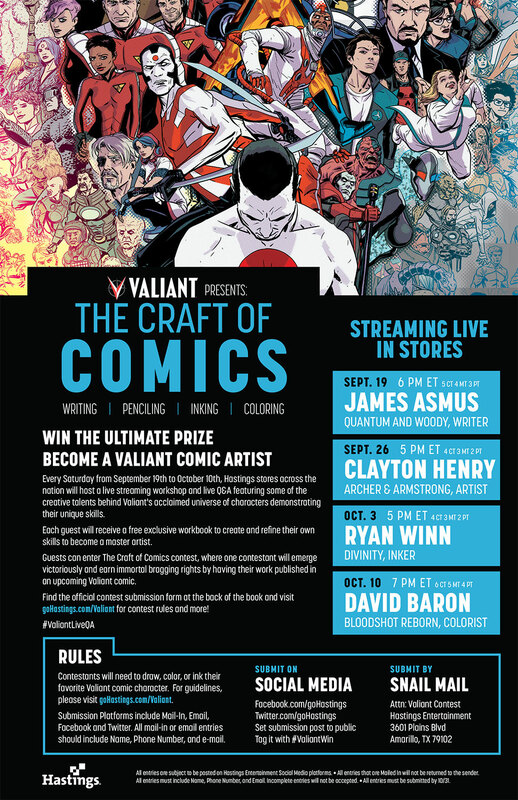 Hastings stores across the nation have joined forces with award-winning comic book publisher Valiant Entertainment for “The Craft of Comics” – a groundbreaking comic book workshop live-streaming with live audience Q&A for four weeks this fall. The month-long in-store event will launch Saturday, September 19th and continue every Saturday through October 10th. Broadcasting live into more than 140 Hastings locations nationwide, each installment of “The Craft of Comics” will feature a live tutorial with an all-star Valiant creator as they detail the practice and principles underlying one of the four key disciplines involved in the creation of comics: writing, penciling, inking, and coloring. 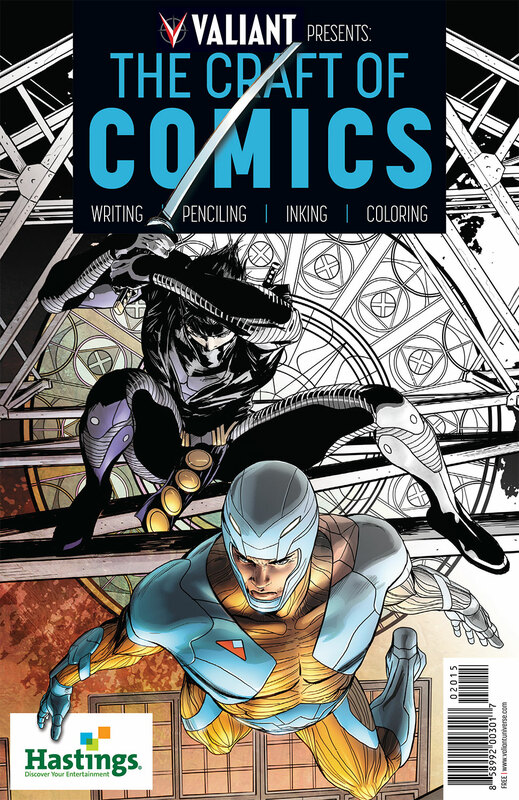 Each Hastings guest will receive a free exclusive “The Craft of Comics” workbook produced by Valiant Entertainment to create and refine their skills over the course of the four-week workshop. Inspired guests can then enter “The Craft of Comics” contest, where one lucky contestant will emerge victoriously and earn immortal bragging rights by having his or her work published in an upcoming Valiant comic. Contact your local store that will be participating in these events regarding streaming times and other details. Come ready for fun weekends of learning invaluable comic skills and experiencing your exclusive chance to become a published comic book artist! Visit www.goHastings.com/Valiantfor more information.